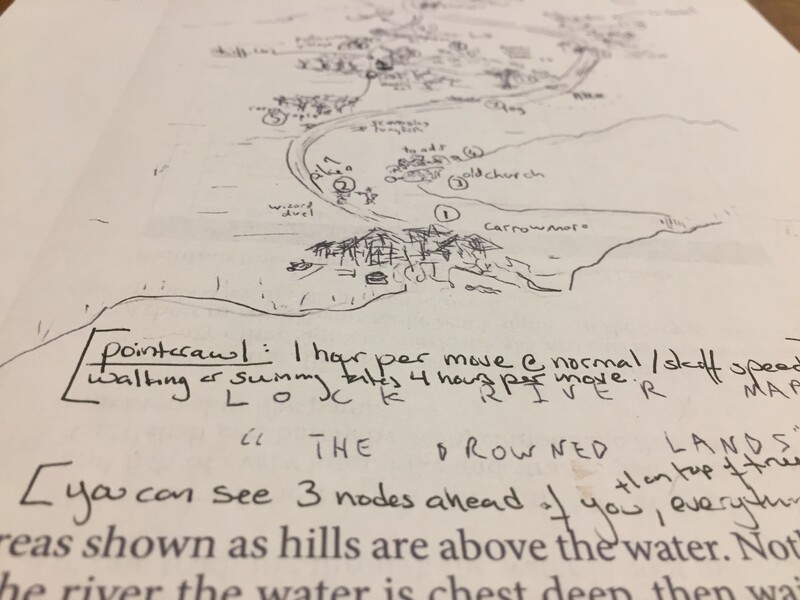 Per the request of Erin in the comments, here are some examples of the kind of the marginal minimaps and annotations I was making in my prep to run Deep Carbon Observatory. 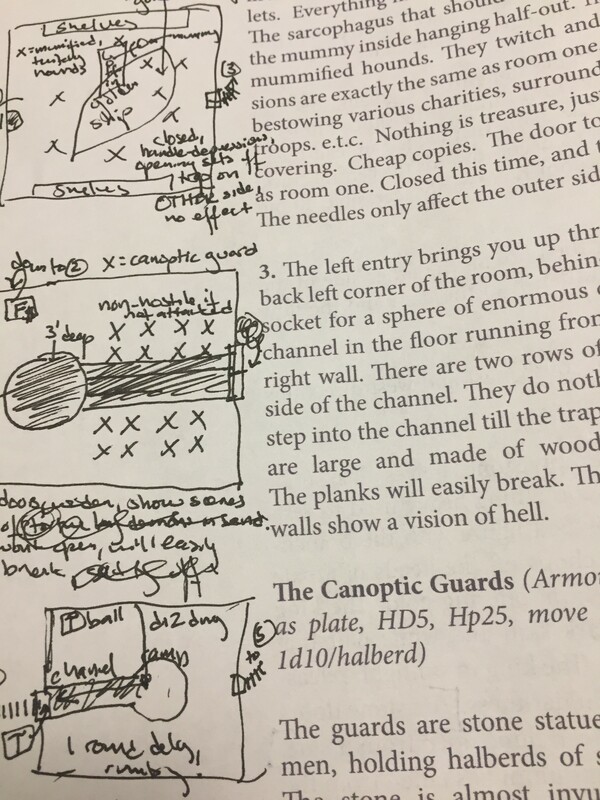 Also, you should use Claytonian’s version of the dungeon map, which I unfortunately didn’t have access to at the time: http://killitwithfirerpg.blogspot.jp/2017/07/deep-carbon-observatory-map-fan-map.html. 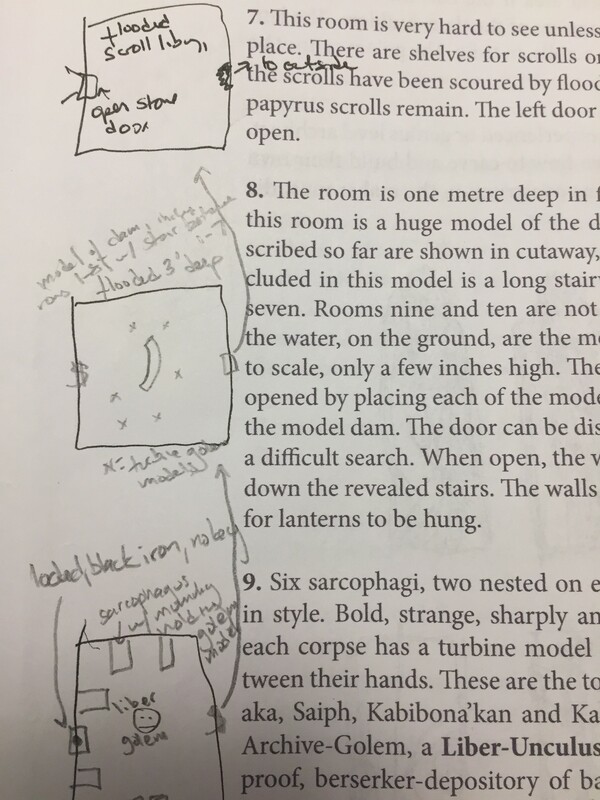 Deep Carbon Observatory is a great module, but it’s missing an important component. The content is fresh and interesting and not the same “there’s a cult and you have to stop it” thing you always see in WotC’s stuff. It’s got it’s own thing going. It treats you like an adult. 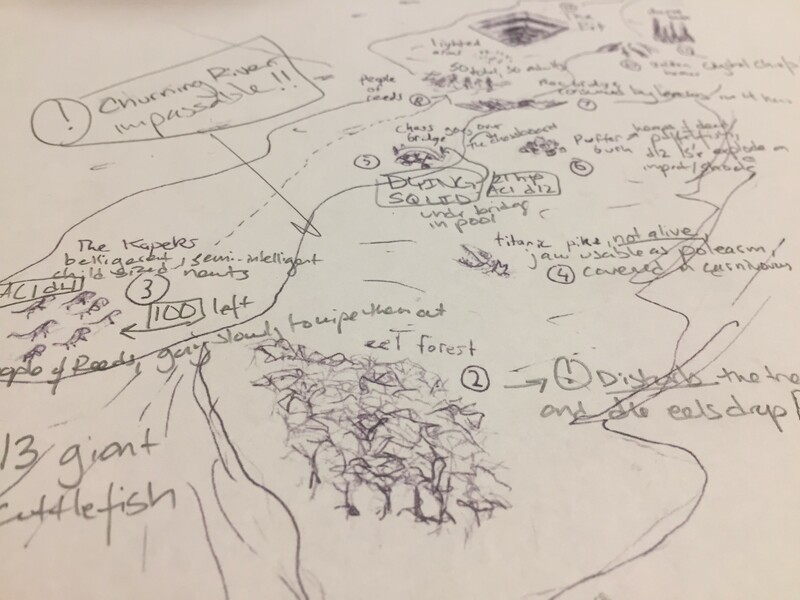 20170711 Update: added pictures of minimaps and annotations. 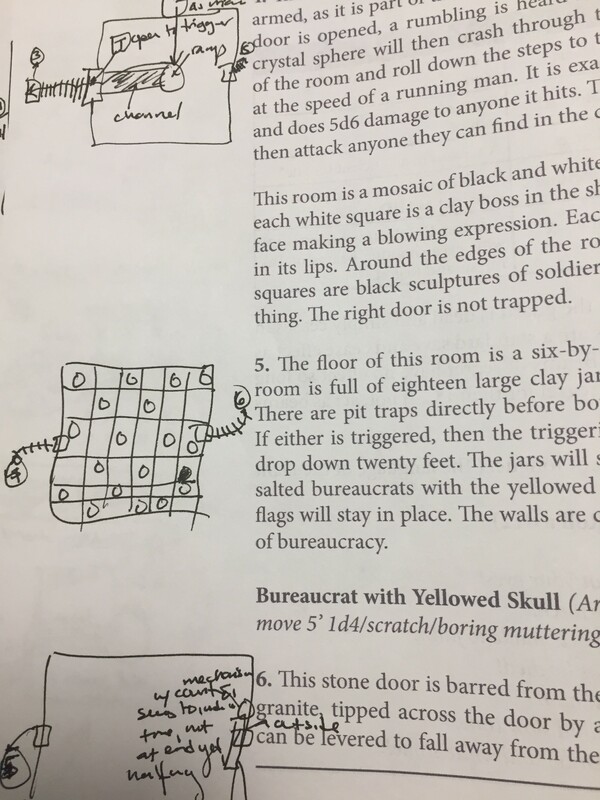 Linked to Claytonian’s version of the dungeon map.